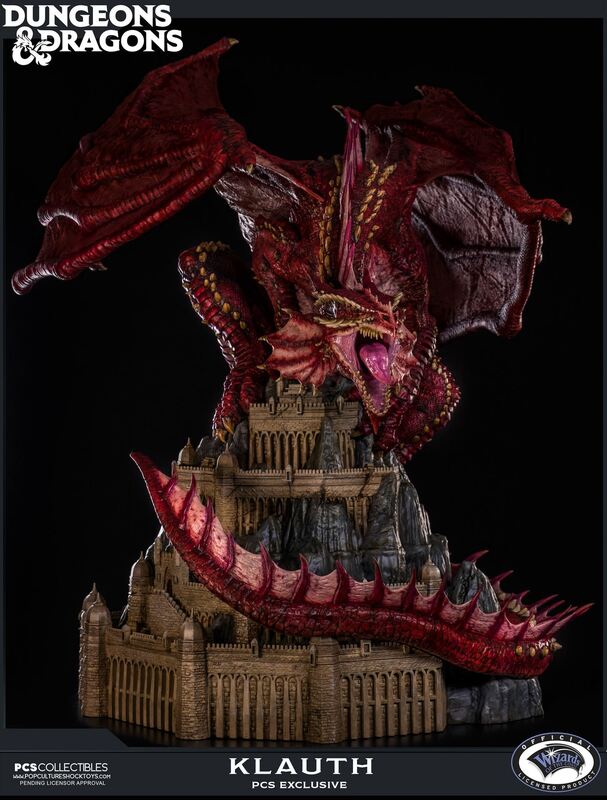 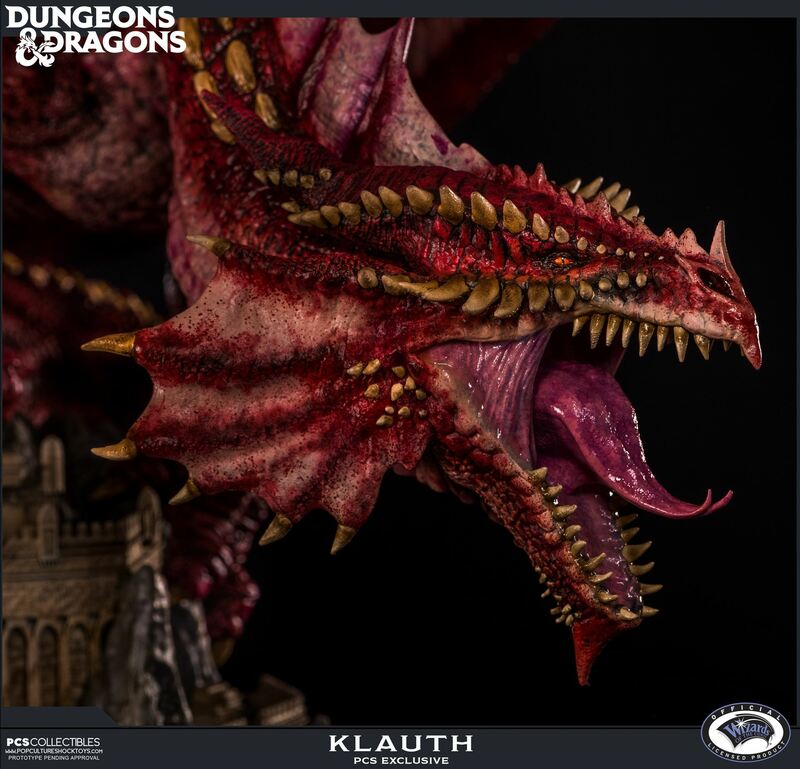 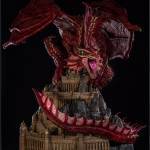 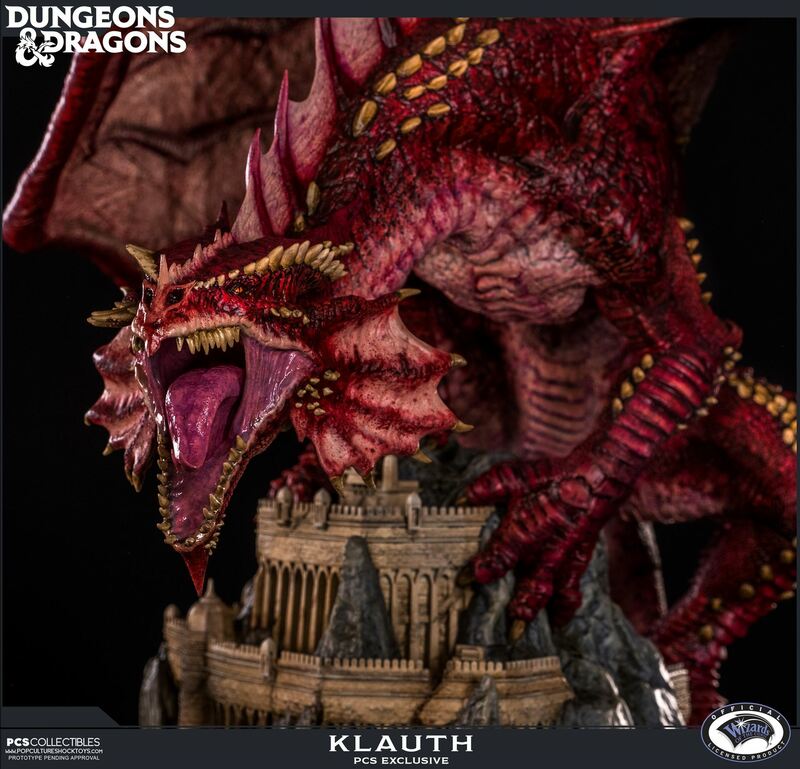 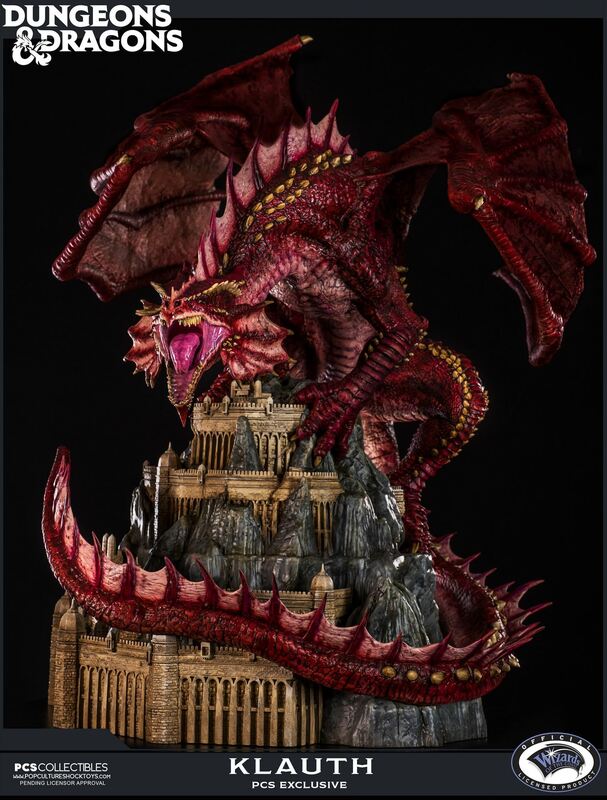 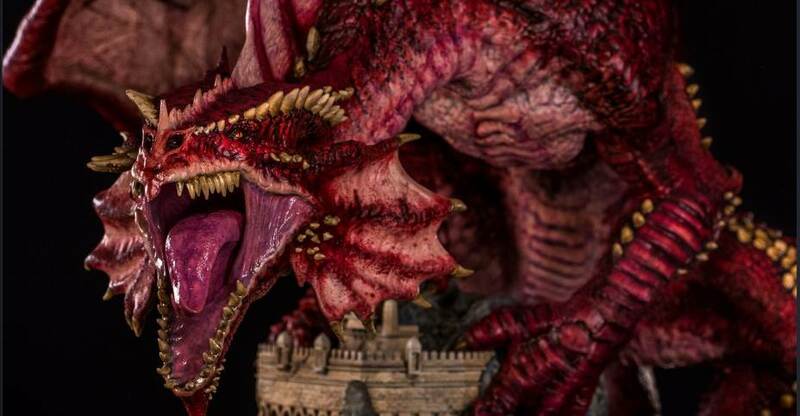 Later today, pre-orders will begin for the upcoming Dungeons and Dragons – Klauth the Red Dragon Statue by Pop Culture Shock Collectibles. 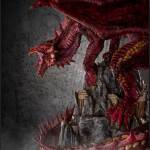 They have shared some new photos and details for the upcoming release. 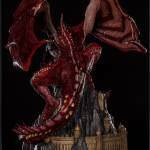 There will be two versions, and both will be exclusive to the PCS store. 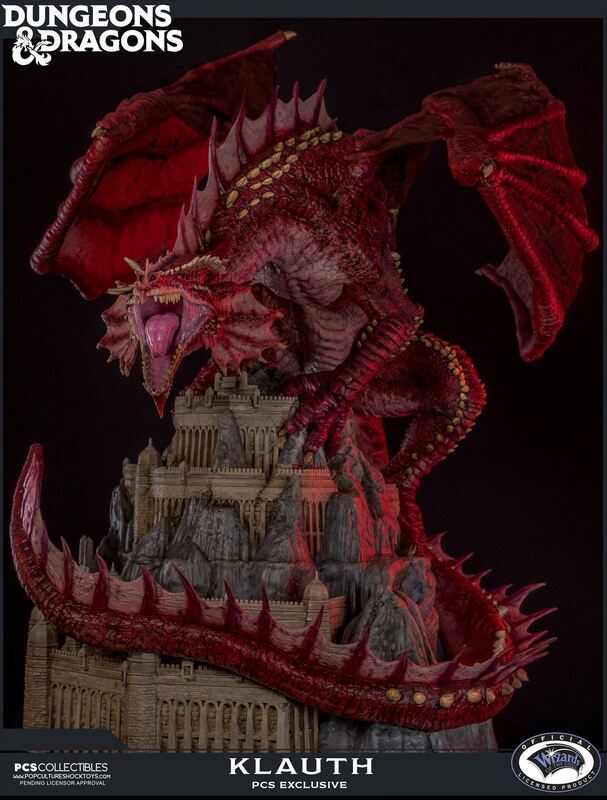 Check out the details below, along with product page links. 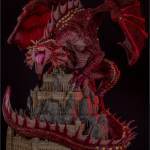 See the new images after the jump. 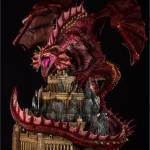 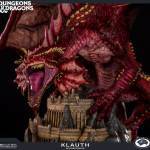 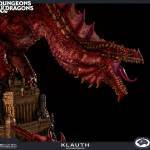 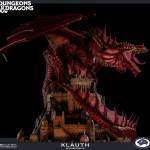 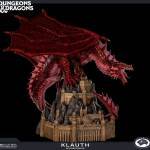 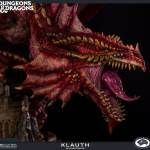 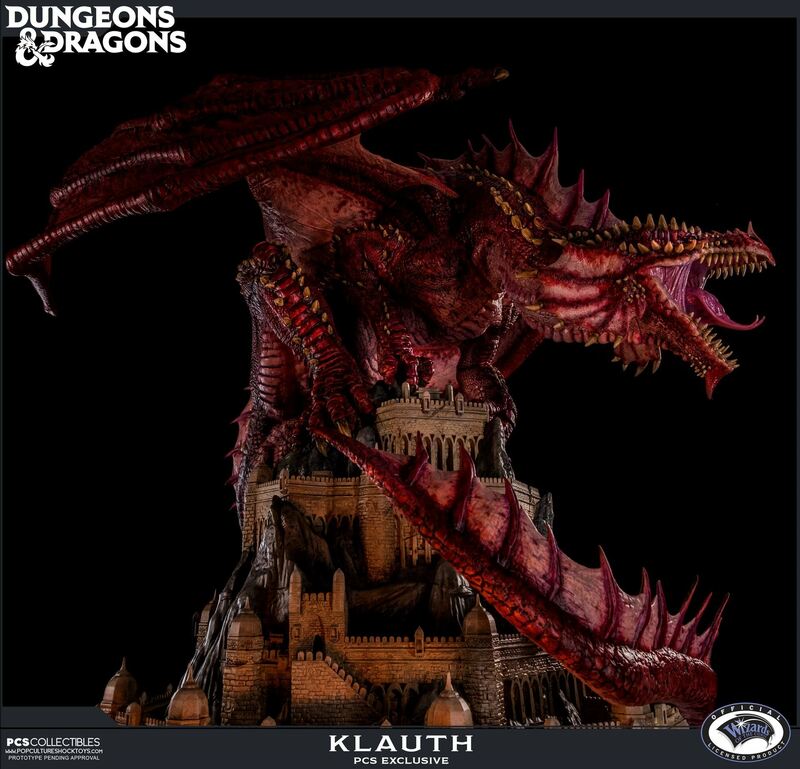 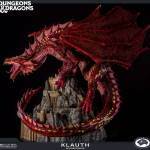 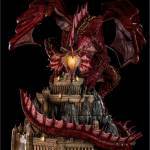 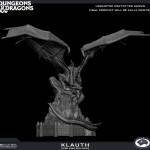 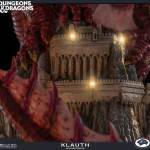 Klauth is one of the largest and most fearsome red dragons ever known in Faerûn. 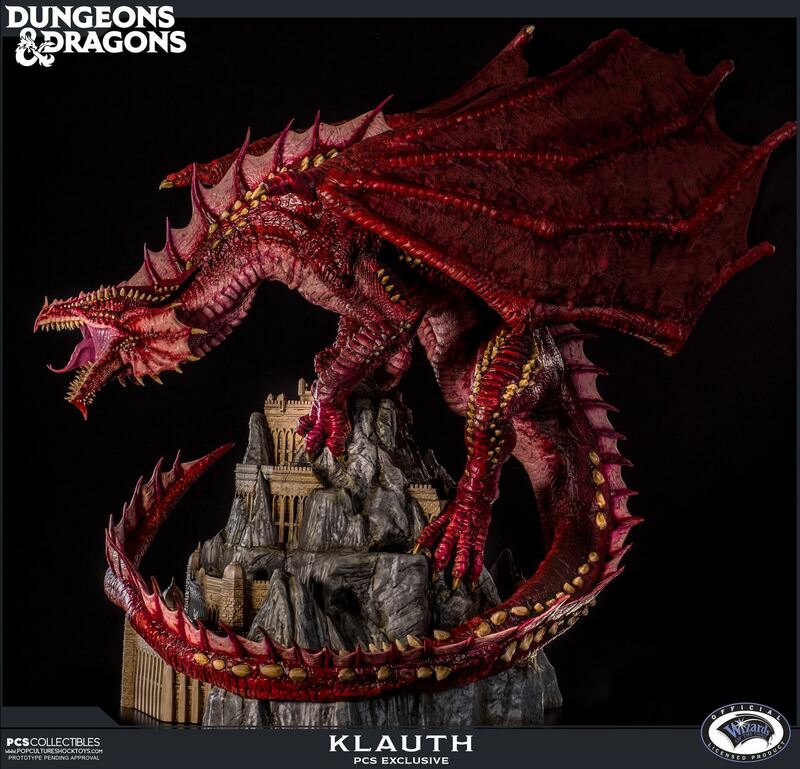 Huge but graceful, he’s as supple as a cat. 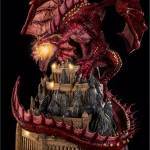 His body is covered in old, wicked-looking scars where scales have been torn away and never grown back. 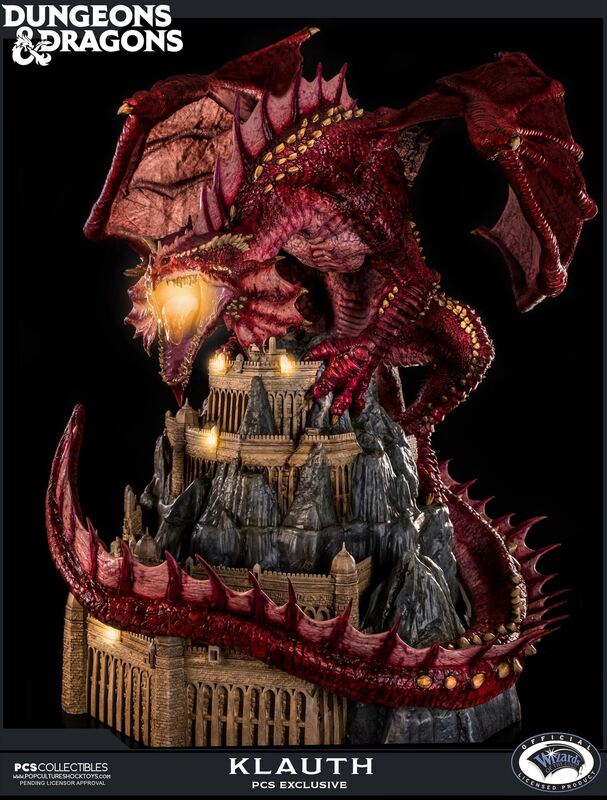 He brutally attacks other dragons, seeking to slay any wyrm that might rival him in power, in a fighting style marked by sudden attacks and just as sudden disappearances. 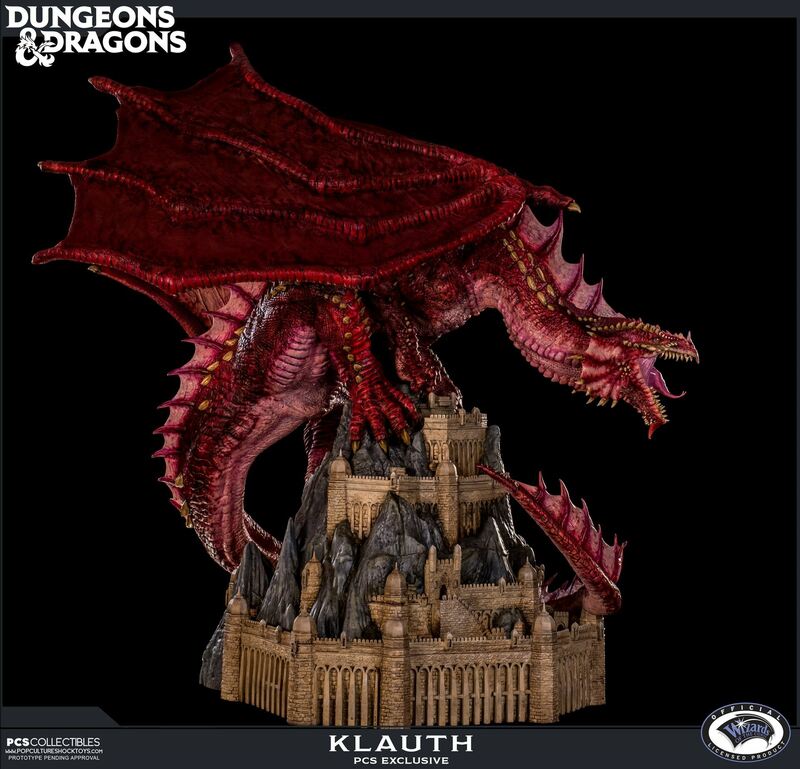 Klauth spends many waking hours scrying Faerûn with his spells, and he probably knows more about the deeds and whereabouts of surface-world creatures in the North and along the Sword Coast than any other being alive today. 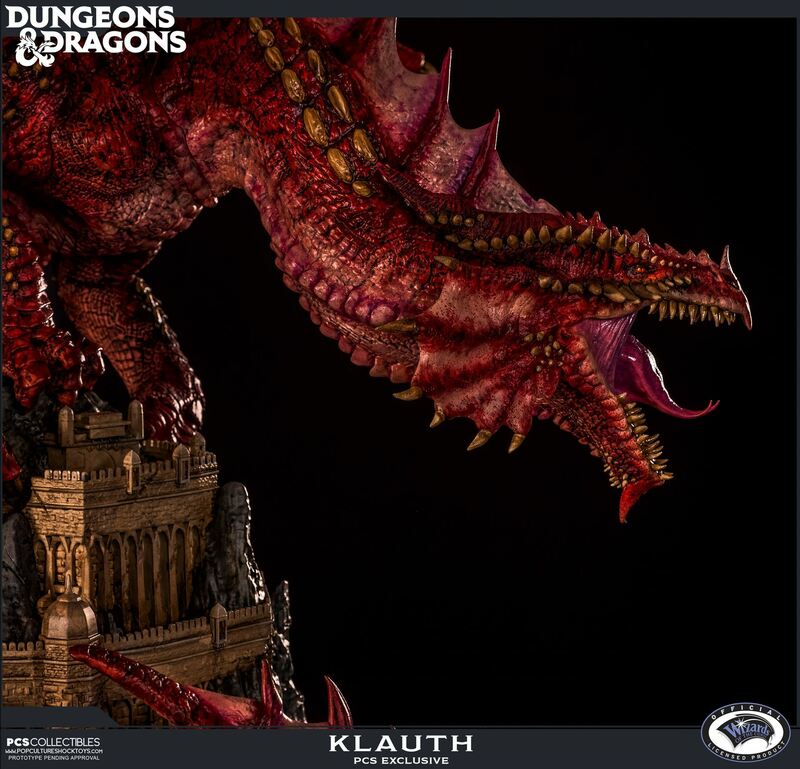 PCS is proud to present the first statue in our line of officially licensed Dungeons & Dragons collectibles. 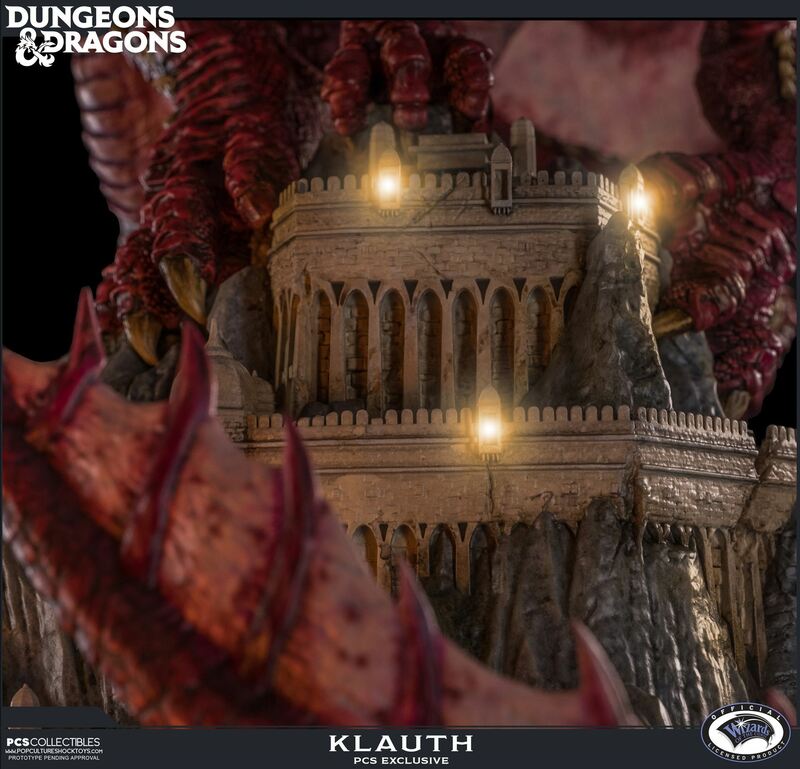 Klauth stands over 24″ tall and the PCS Exclusive version features light up LED effects to add a life like quality to this monstrous creature and the frightened masses huddled in the structure below. 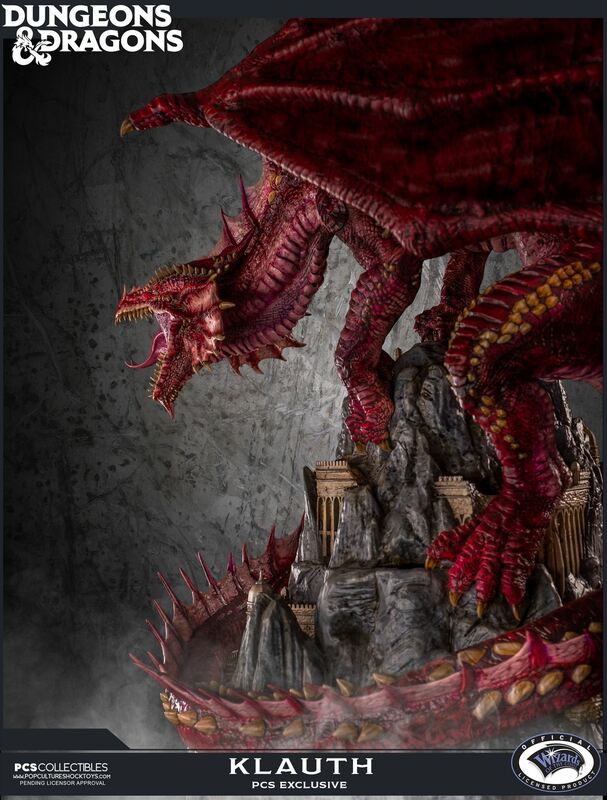 The PCS ‘Open Wing’ Exclusive is limited to only 50 pieces worldwide and will only be available at popcultureshocktoys.com. 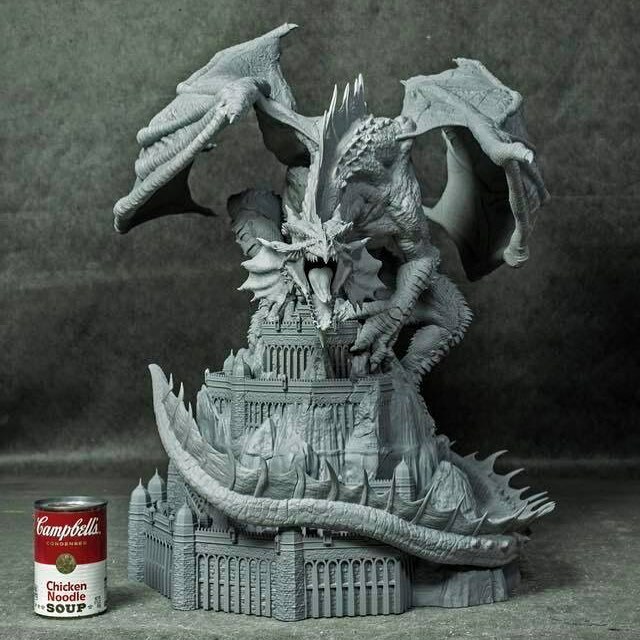 Oh hell yeah! 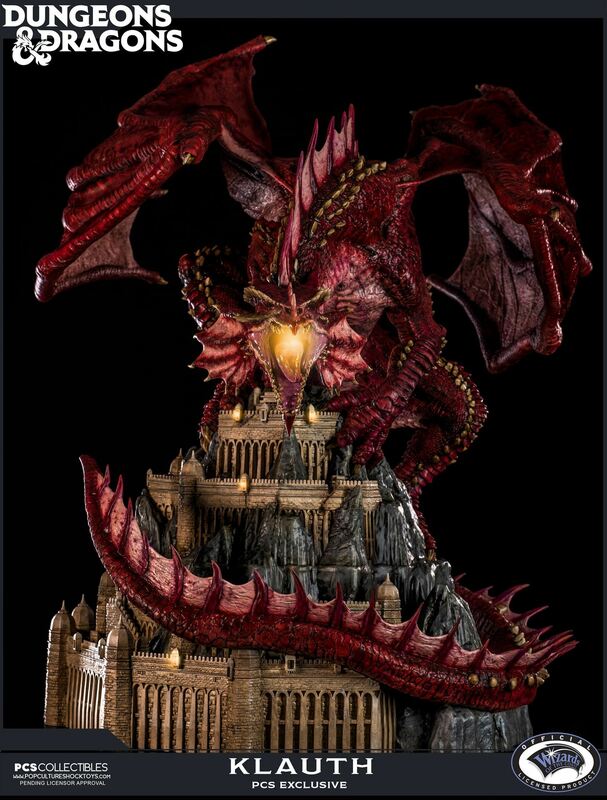 anybody got a price? 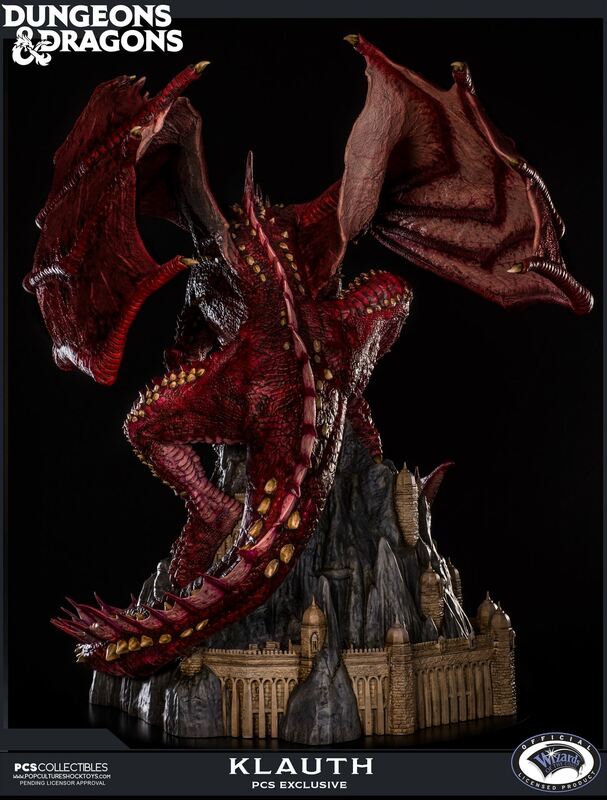 $699.99 for standard version with semi-closed wings. 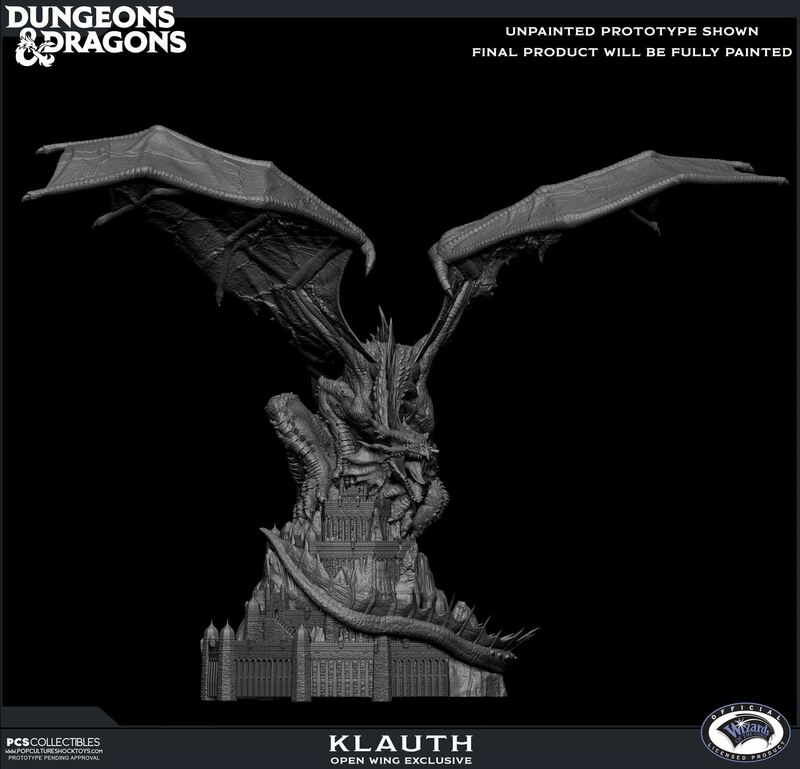 $999.99 for open winged version.